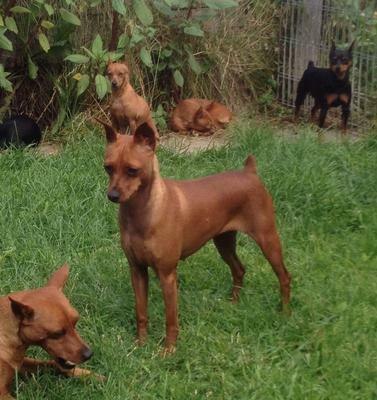 I have been breeding and showing miniature pinschers since 1989, in both Canada and the U.S. I live in Rocky Rapids, AB, Canada. The dogs live in my home and are a part of my every day life.I spend a lifetime learning pedigrees, going over dogs, reading, talking, and learning from those in my breed and those outside it. I raise each litter in my kitchen and spend a good amount of time finding them loving forever homes. I breed from parents who I believe are the nicest examples of their breed, in both quality and temperments. 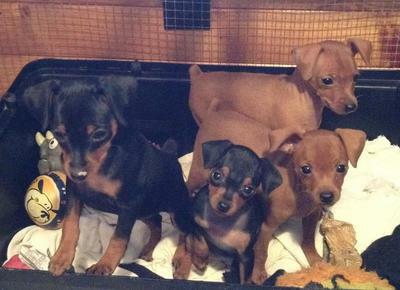 I support each family who chooses one of my puppies and let them know they are now a part of our extended family. I am there if one needs to come back. I share my knowledge and socialize my dogs so that they will be the advertisement for my dedication. I don't keep track of the money and time I put in to my love of dogs, it would not be a true measure of how I feel. The price I charge for my puppies is never profit, but investment in the next generation. I am not ashamed of who I am... I work hard at being a good dog person and encouraging others to be the same. 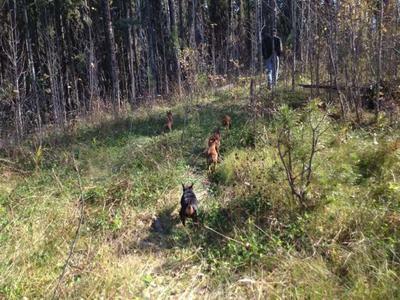 I am a member in good standing of the Canadian Kennel and Miniature Pinscher Club of America. I am a breeder and I am proud of it.